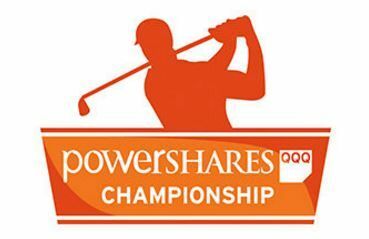 The Powershares QQQ Championship will be played for the first time in 2016. It also is the first tournament in the inaugural Charles Schwab Cup playoffs on the Champions Tour. The tournament will be played at Sherwood Country Club in Sherwood Lake, California. Players qualify for the Powershares QQQ Championship by being in the top 72 on the money list at the end of the regular PGA TOUR Champions season. In addition, if one or more golfers finish in the top 10 in the final non-playoff event, the SAS Championship, and are not in the top 72 on the money list entering the playoffs, the highest such finisher in the SAS Championship also receives a playoff spot. The top 54 from the Powershares QQQ Championship will advance to the second playoff event, the Dominion Charity Classic at The Country Club of Virginia in Richmond. There, the field will be cut to the top 36 players for the season finale at the Charles Schwab Cup Championship in Scottsdale, Nov. 7-13. Powershares QQQ is an investment fund designed to replicate the NASDAQ 100. It is one of several indices managed by Invesco Powershares.